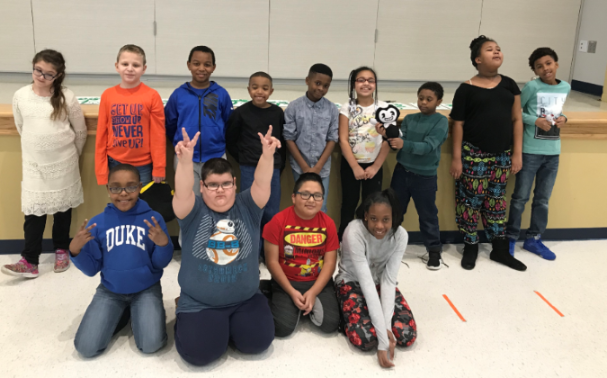 2018 SODE spring soccer tournament- peer partners practiced for 8 weeks prior to competing in the countywide tournament that included neighboring district schools. 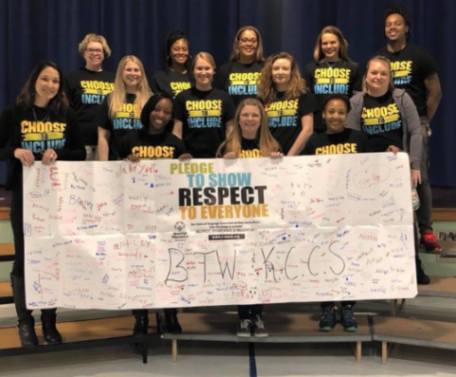 KCCS and BTW physical education teachers co-planned and facilitated adaptive gym opportunities for peer partners to practice soccer skills as well as engage in a variety of activities geared toward increasing socialization and showcasing the skills of all children. Booker T. Washington and KCCS students enjoyed a lunch club where they were invited to eat and play together. The culminating activity was a pizza picnic accompanied by an award ceremony following the SODE soccer tournament. 3. Whole School Engagement - activities that promote school-wide inclusion. We are both excited and proud to see where this partnership leads us during the 2018-19 school year!